It’s the same mindset I’ve applied as I’ve skated along the twists and turns in my career—the idea that risk and reward are two sides of the same blade. When I hung up my skates to practice tax law, there was a sense of stability and groundedness in my work. And I loved what I did. But, when I had the opportunity to join a high-growth startup with a team I liked and trusted, I leapt at it. To me, it was a no-brainer. The breakneck speed of innovation and high-stakes, high-pressure environment of the tech world mirrored what I was already used to out on the ice. I understood how to hustle and didn’t fear shaking myself, and our team, out of the familiar—whether we were scaling from a handful of employees to hundreds, or actively deciding whether to take on our first round of funding after six years of steady, profitable bootstrapping. Yet, if headlines are to be believed, risk-taking for career advancement—especially for women in tech—is easier said than done. One study shows men tend to take more risks under stress, while female risk-taking decreases under stress. Another report found women, on average, are more risk-averse than men in financial decision-making, which in turn, is associated with differences in career choices. In a review of MBA students, the study found about 36 percent of females chose a risky career in finance (like investment banking or trading), compared to 57 percent of their male counterparts. And, of course, there’s the infamous confidence gap revealed by an internal audit at HP, which showed men will apply for a job or promotion when they meet only 60 percent of the qualifications, while women won’t apply unless they meet all 100 percent. Being an athlete helps hone your focus and channel your drive and ambition to become a team leader in business. It teaches you to stop setting limits for yourself, and to reconfigure how you confront the challenges that come over the course of a career. A study by Ernst and Young surveyed 821 high-level executives, and found 90percent of the women among them played sports. Among women in C-suite positions, it rose to 96 percent. Cultivating an athletic mindset starts by recognizing risk-taking isn’t synonymous with recklessness. On the ice and in business, complacency is comfortable, but it also comes with a cost. If you don’t find new muscles to flex, you’ll never break out from the pack. Risk-taking is necessary for creation and innovation. It is what makes you pivot when a solution doesn’t address a need the way you want it to. Without pushing our comfort zone, we can’t arrive at that next groundbreaking idea. Risk is what enables you to innovate yourself—to get better and grow. The payoff of risk is twofold: you get to find real solutions to real problems—and, you get to explore parts of yourself you didn’t know existed. Whenever I’ve been presented with a new career opportunity, the first question I ask is not, “Which job is more secure?” No job is secure. Instead, ask yourself, “What will I learn? How much will I grow?” When in doubt, always choose the growth opportunity, because that experience is one you’ll carry with you throughout the course of your career; it will outlast whether a startup fizzles or takes off. There are times in life when playing it safe is good advice—like wearing a seatbelt, for example, or looking both ways before crossing the street. And yes, it’s good to look before you leap, especially when you’re making a career move or deciding whether to join a startup. But, whether you decide to take that leap or not, make sure you’re making that decision for the right reasons. There’s a difference between due diligence and self-doubt. Right now, especially in tech, the world runs on data. We rely on inputs and run the numbers in most business decisions we make. But, when it comes to taking risks, especially in your career, there is no algorithm. Apply logic, but also understand the make-or-break moments in life, and your career, usually fall outside a standard pro-and-con list. Usually, the ultimate decision comes down to your “spidey senses”—your brain, your heart and your gut. Trust them. No matter which decision you make, every opportunity—even one that doesn’t necessarily turn out as planned—is an opportunity to learn and grow, if you choose to make it one. 5. Always Be Ready to Go! 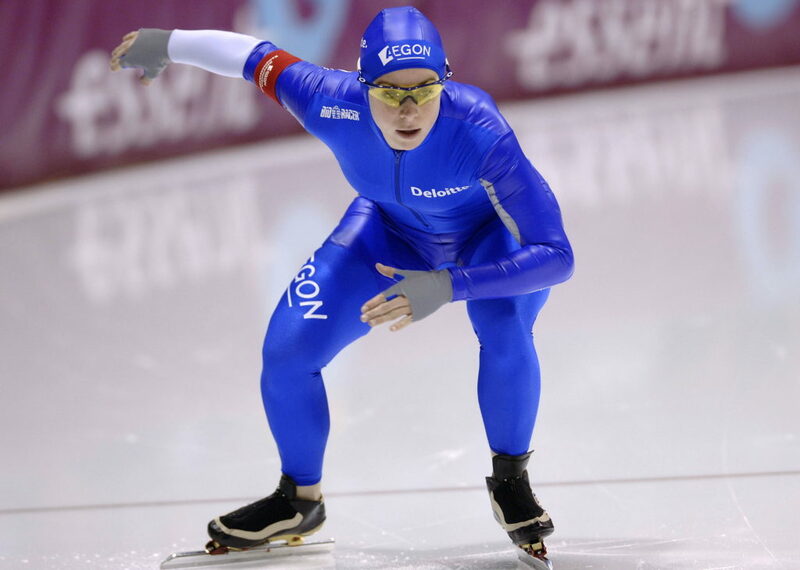 In skating, as in business, the line-up at the starting line isn’t a prediction of what will happen at the finish. When you’re teetering on the edge of an important decision, there’s always an “on your mark, get set” moment. The trick is to trust your decision-making abilities to determine which risks are worth taking, so that you’re ready to “Go!” when opportunity strikes. Mayke Nagtegaal is the COO of MessageBird, an Amsterdam-based cloud communications platform which, in 2017, raised the largest-ever investment—$60 million—by a European software company. 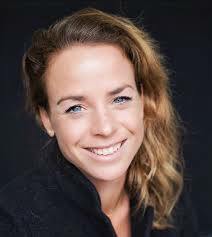 A former professional athlete, Nagtegaal speed-skated with the North Holland Region/Utrecht KNSB from 2005 to 2008. The post Not Taking Risks Is the Riskiest Career Move of All appeared first on Octane Blog – The official blog of the Entrepreneurs' Organization.